JDA MMS Consulting | RTC Group, Inc.
RTC Consulting provides customers with the highest quality project management and application consulting. RTC also offers a series of MMS value add bolt-on solutions that are seamlessly integrated with base MMS functionality. For details see the "Products & Solutions" section of our website. RTC has specialized in MMS implementation, enhancement, audit, and support for more than 25 years achieving the highest customer satisfaction rating in the industry. 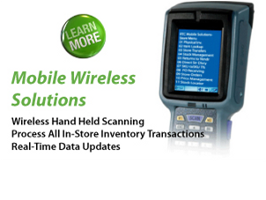 Our retail industry experience coupled with our in-depth system knowledge of JDA® MMS™ is utilized to obtain maximum operational business efficiency and return on investment.